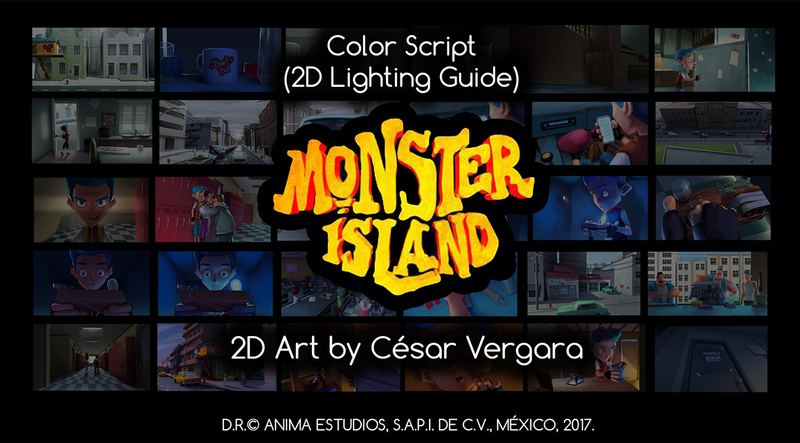 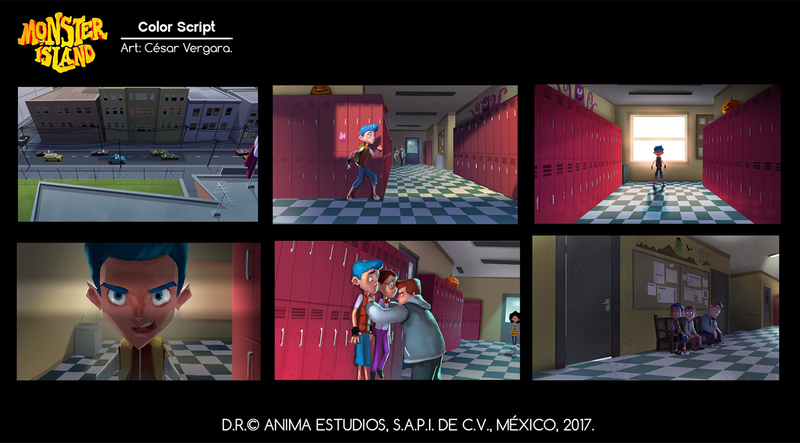 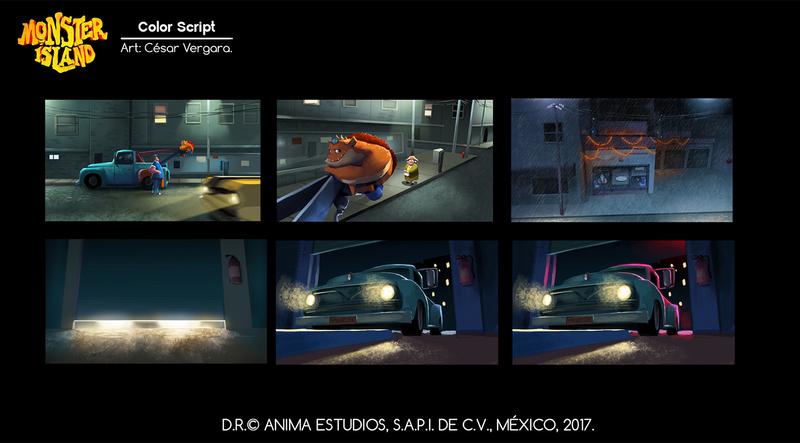 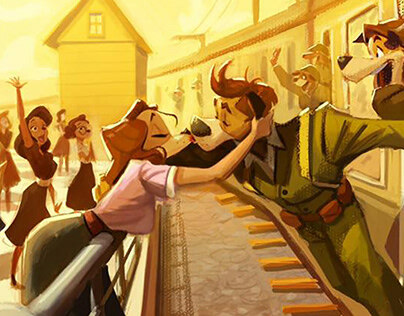 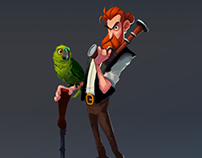 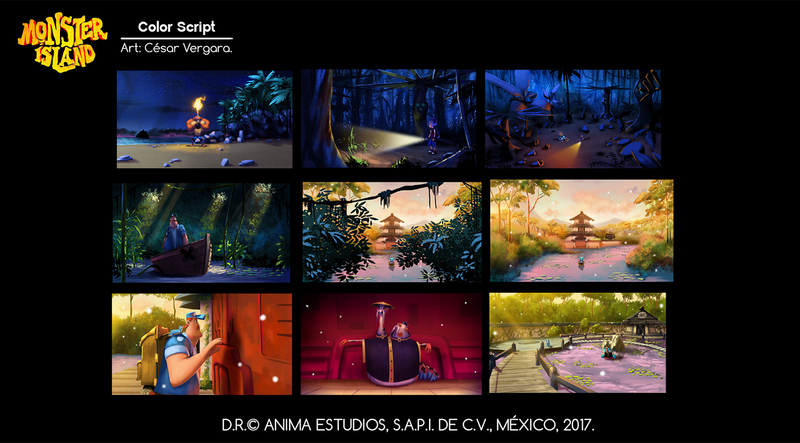 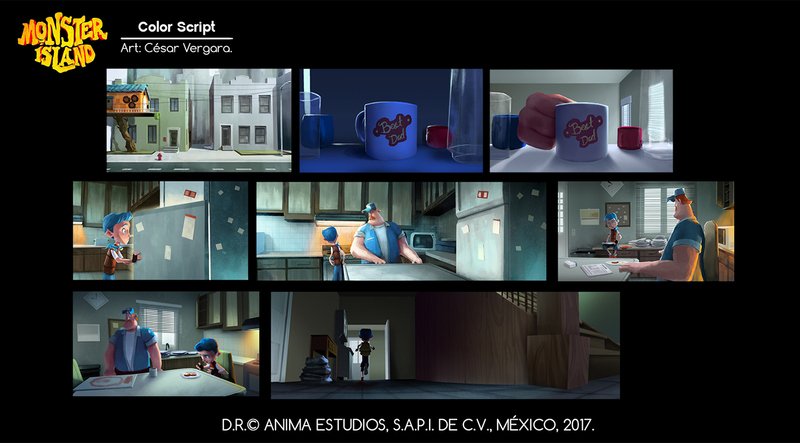 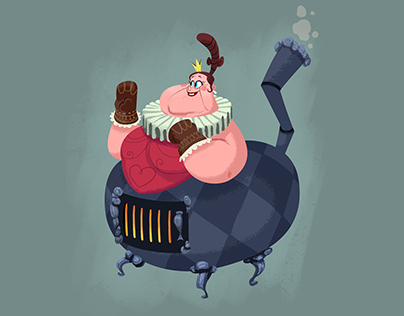 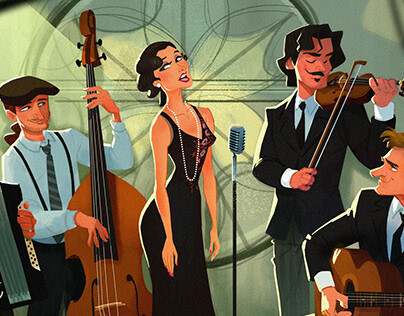 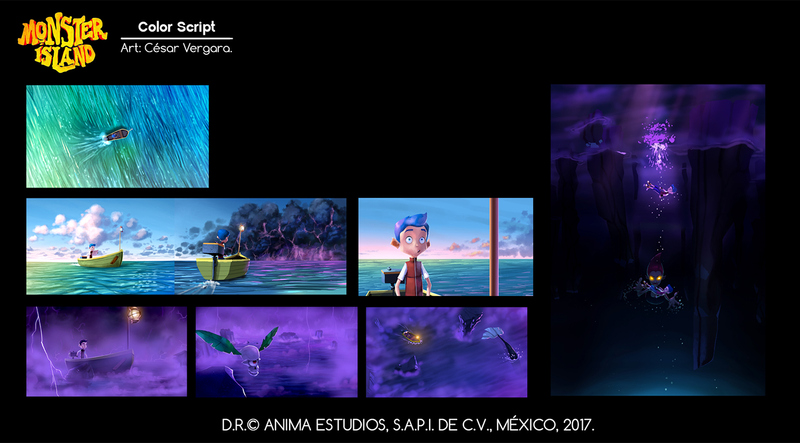 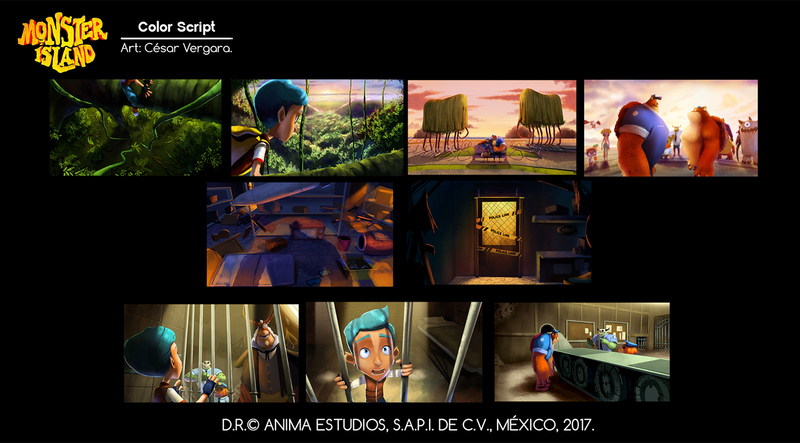 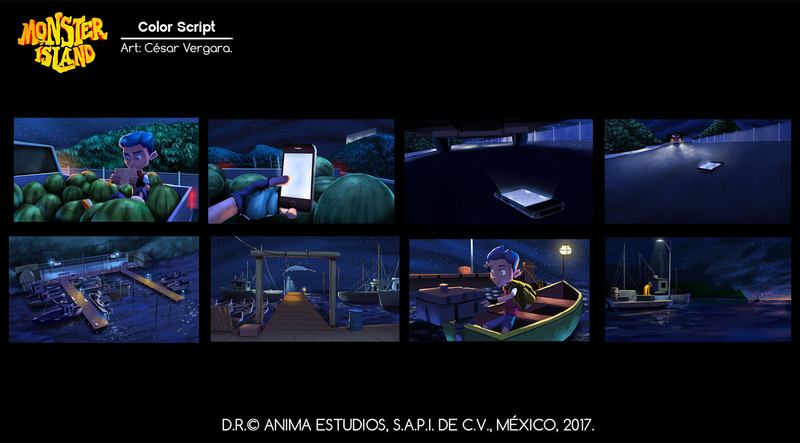 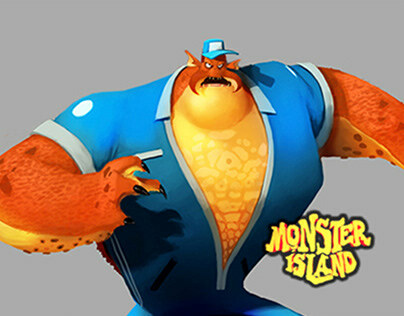 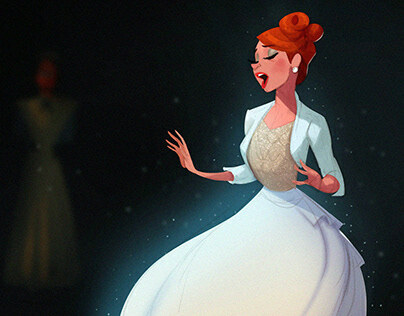 Color Script for the Featured Animated Film "Monster Island". 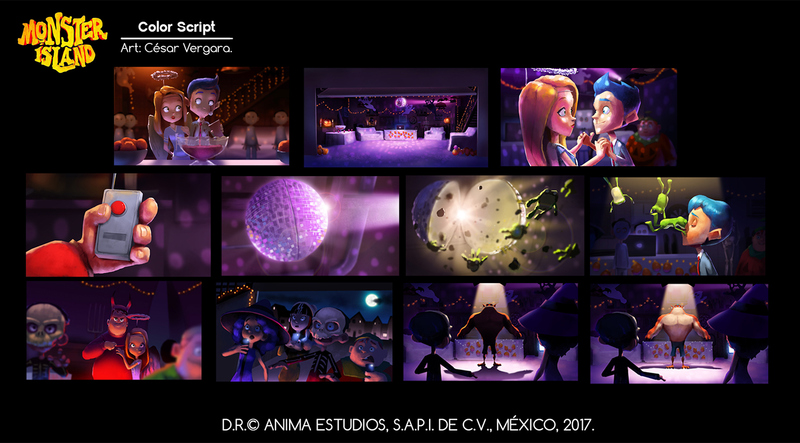 D.R.© ANIMA ESTUDIOS, S.A.P.I. 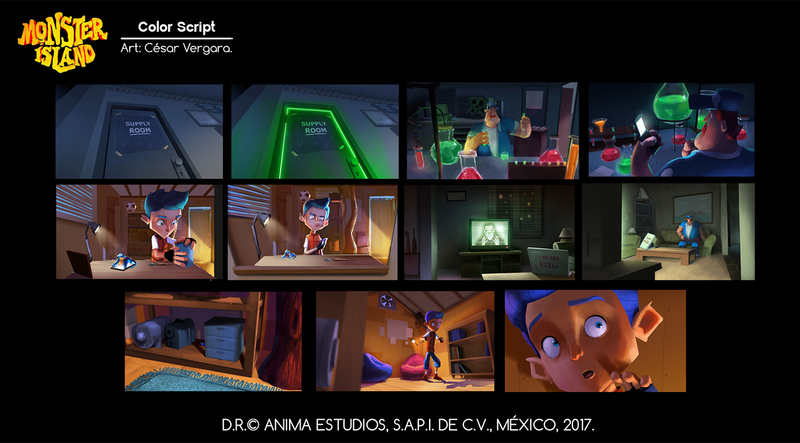 DE C.V., MÉXICO, 2017.